In a bowl, mix together chicken, paprika, cayenne pepper, onion powder, garlic powder, pepper, salt, celery, chives, dill, lemon juice, mayonnaise, sour cream, and Dijon mustard. 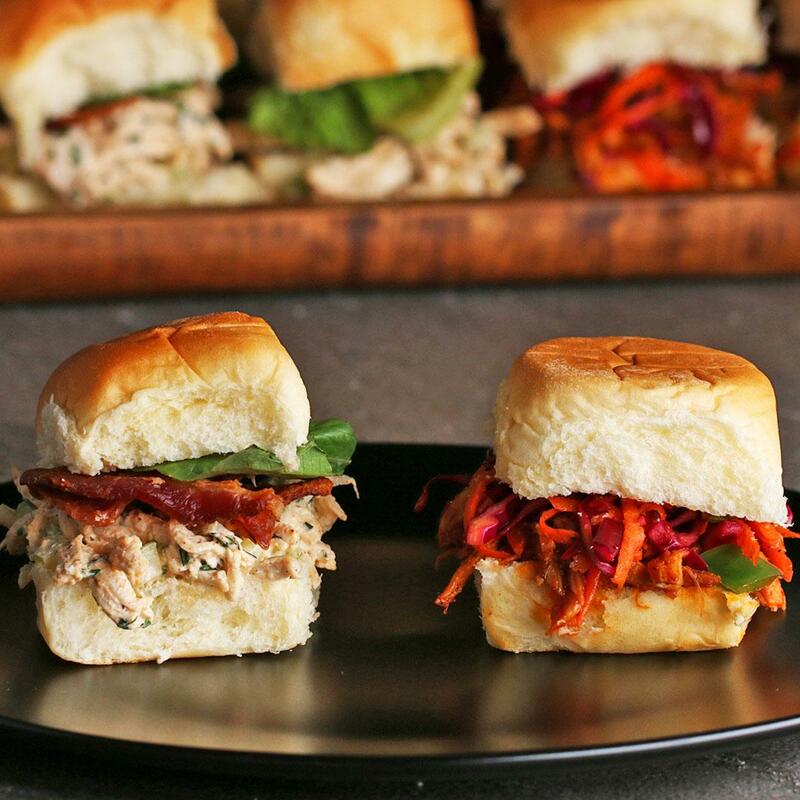 Place chicken salad mixture on a slider bun. Top with bacon and lettuce. Place top bun. I personally omitted the cayenne pepper + dijon mustard, and it was still amazing. I had it two days in a row on Hawaiian buns and still wanted more.